So due to video difficulties once again, (I swear, I just won't try any more videos, they never work and it always puts me behind schedule and makes me miss Tutorial Tuesdays), I am late in getting a post up for this week. I did this one late at night though, when it was finally obvious that I was not going to be able to edit the video for the tutorial I'd been working on for 2 weeks. But I digress. 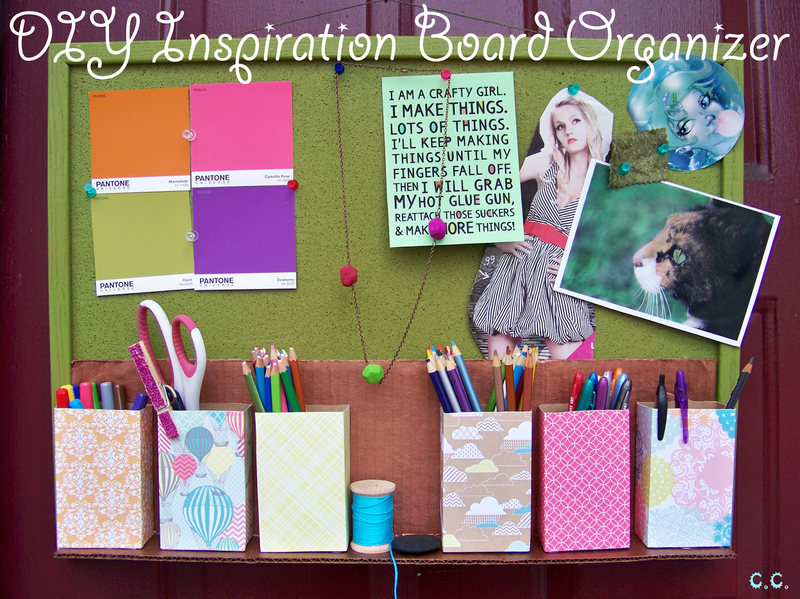 Today I'm going to show you how to make an organizer out of cardboard, glue and scrap booking paper to upgrade your inspiration board! Since I moved I wanted to use that as an opportunity to get more organized and one of the places that could really use an organizers touch is my office. 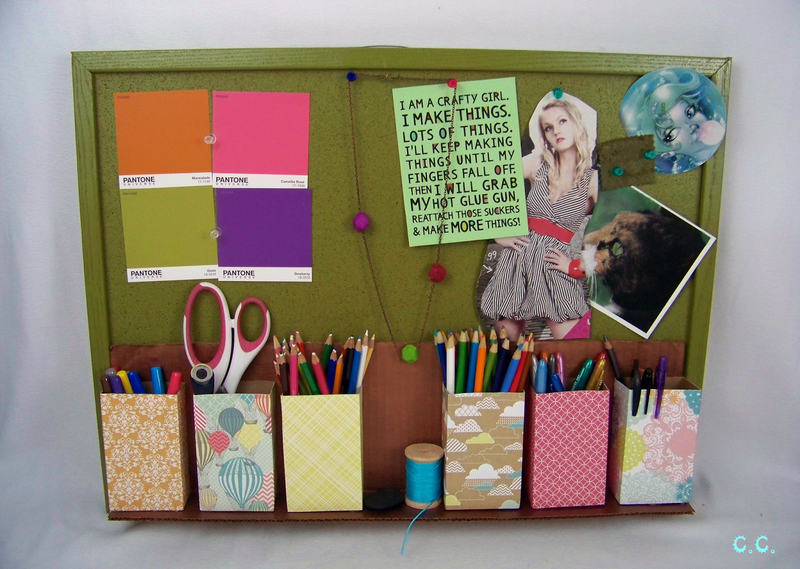 Its overflowing with supplies, fabric, papers,W.I.P.s and stuffed animal pieces as well as many other crafty bits and bobs. Now I have a two step plan for putting everything to rights, my only problem is going to be following through. I hope by letting you guys know, it'll make me feel more inclined to keep my word. Don't buy any new supplies/project materials until I use up a good percentage of what I have. This will both give me some new room to work with in organizing, but it will also clear up some of the creative clutter in my office and brain. That's right, its The Cwafty 2014 Craft Stash Buster! This one is an oldie but a goodie; A place for everything and everything in its place. Pretty simple. 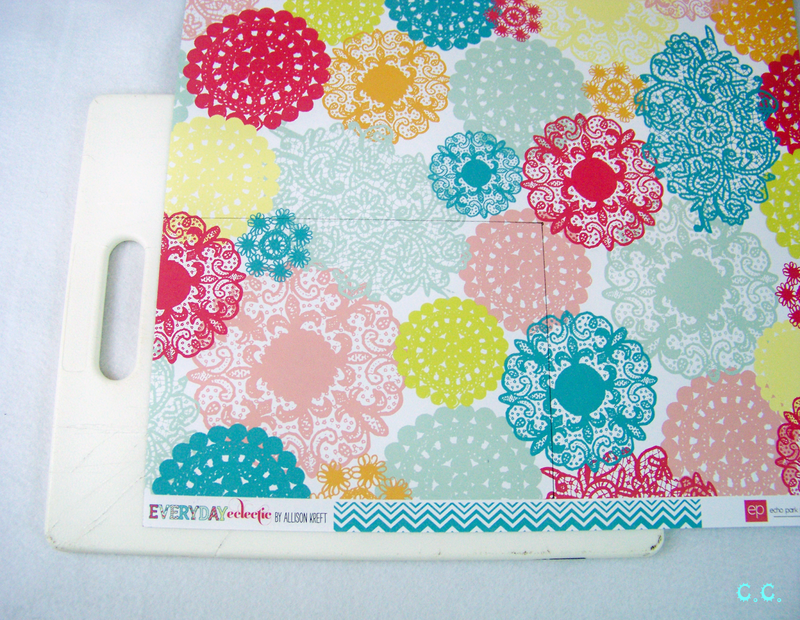 I need to have a good organizational system if I want to stay organized. Today's project incorporates both of my steps, which is exciting because it makes me feel like I'm making a little bit of progress. I also finally have a wall to hang my inspiration board on and I can't wait to be inspired! 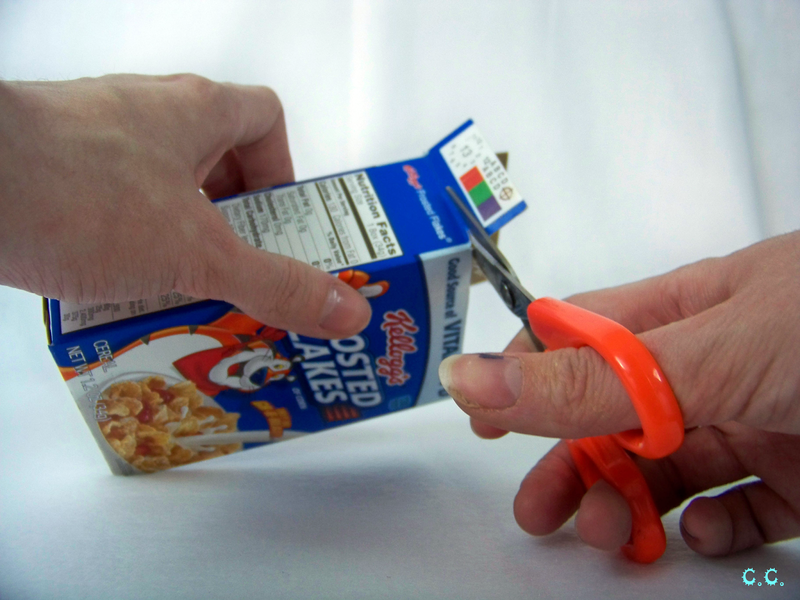 Step 1: Cut the tabs off of all of your cereal boxes. 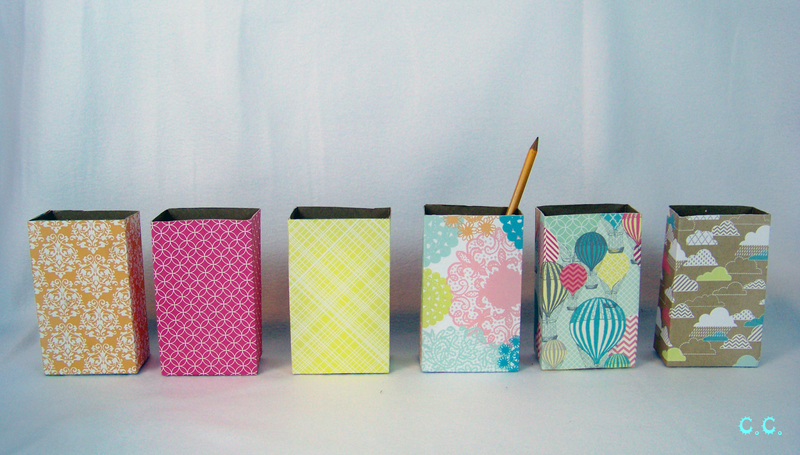 Step 2: Measure around both short sides of your box and one long side. 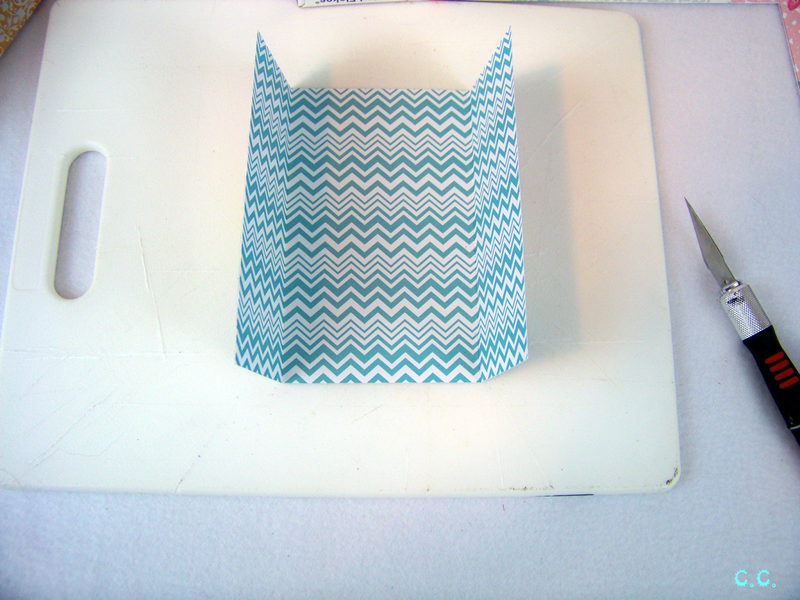 Add those measurements together and add about half an inch for wrapping purposes. 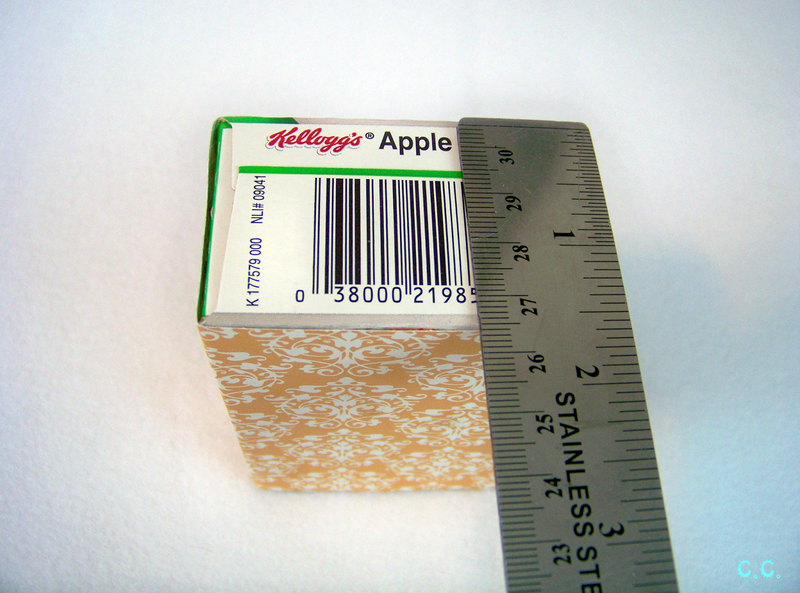 Now measure how tall your box is. 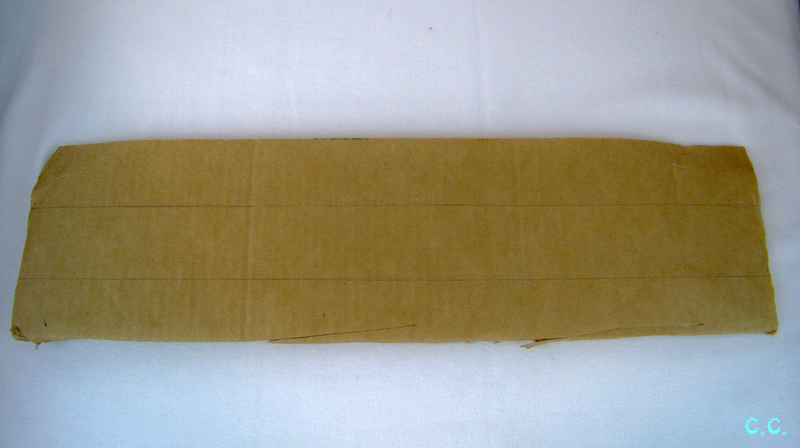 Step 3: Draw a rectangle on your sheet of paper with the dimensions you just worked out. 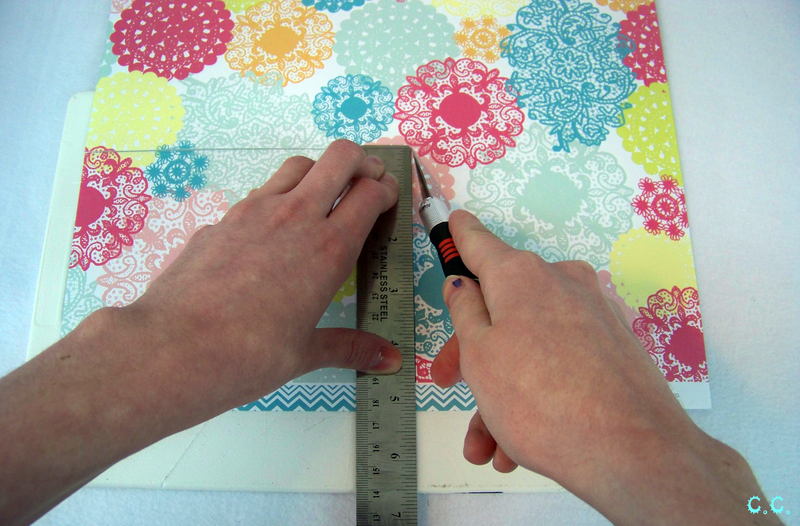 Cut it out with the ruler and X-acto knife for precision. 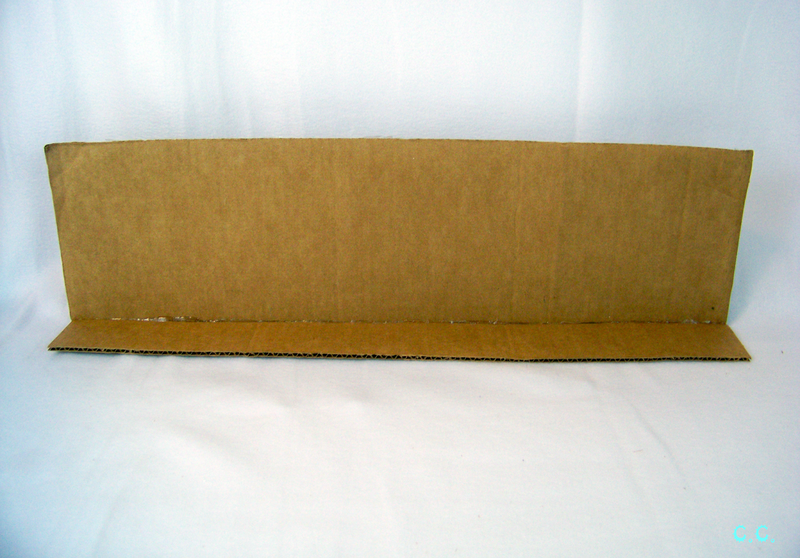 Step 4: Lay your box front side down in the center of the paper. 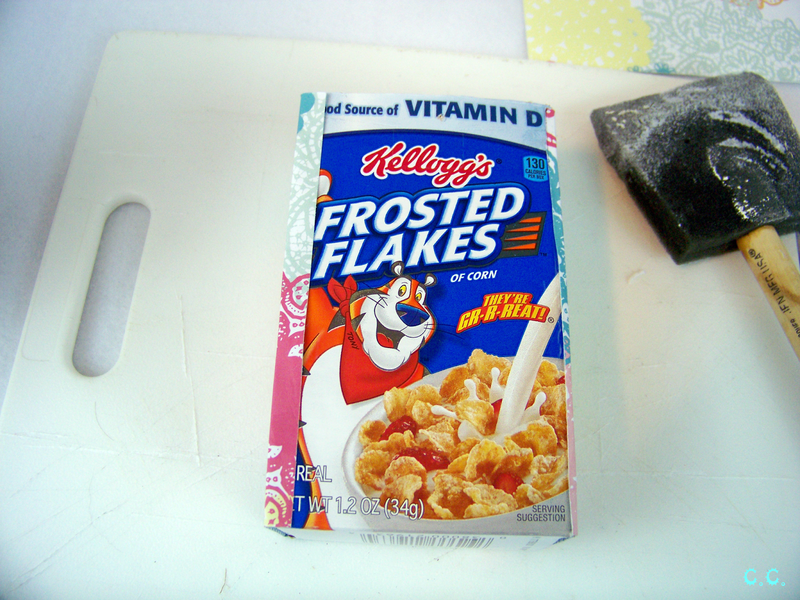 When you have it centered fold the paper over the corners of the box. 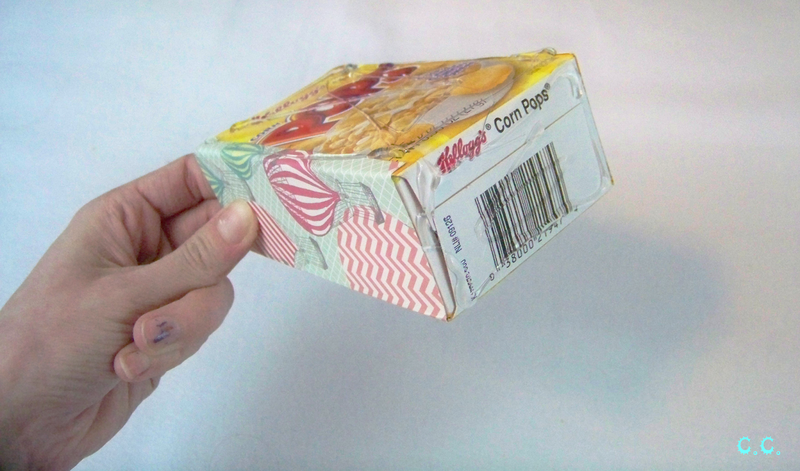 Then remove the box and just crease your folds. 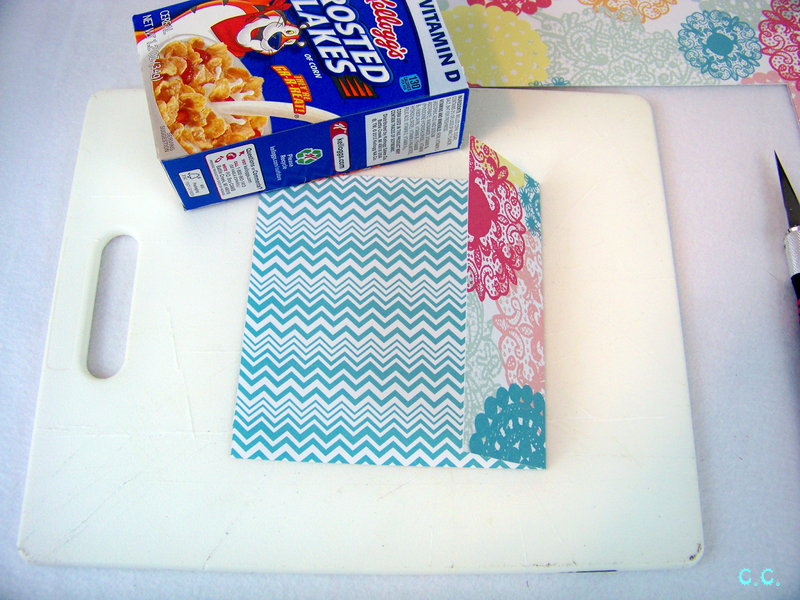 Now the paper should fit snugly around your box. 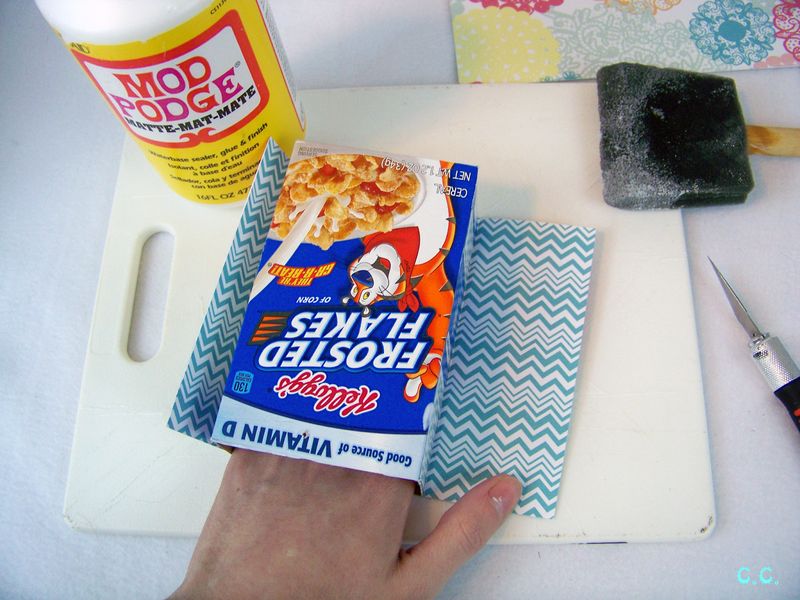 Step 5: Cover the center section of your box first with Modge Podge and apply your paper. Make sure everything is even and straight and completely attached. Then move on to the sides. Then fold anything left over around to the back and 'Podge it down. Done! Now repeat with as many boxes as you want/need/can fit! 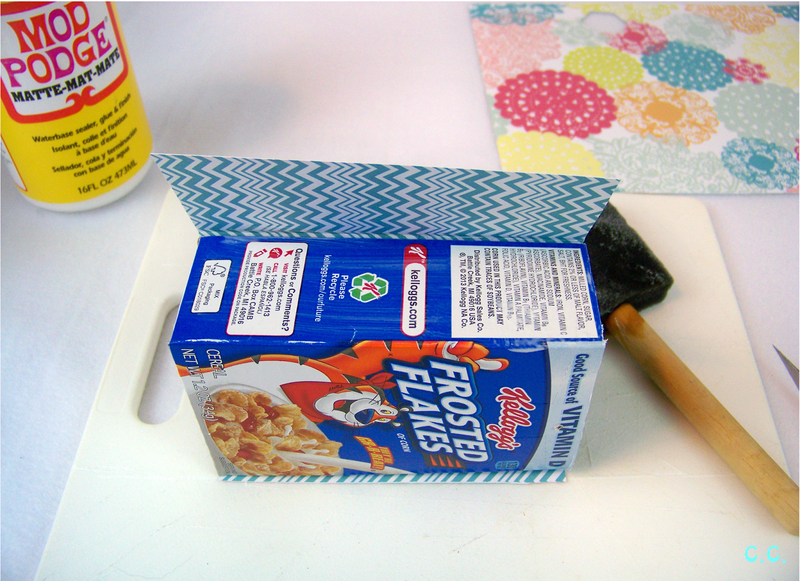 Step 7: Measure out another rectangle on your other piece of cardboard that is the length of the cork board X the smaller width of the bottom of the cereal boxes plus a half inch. Cut it out. 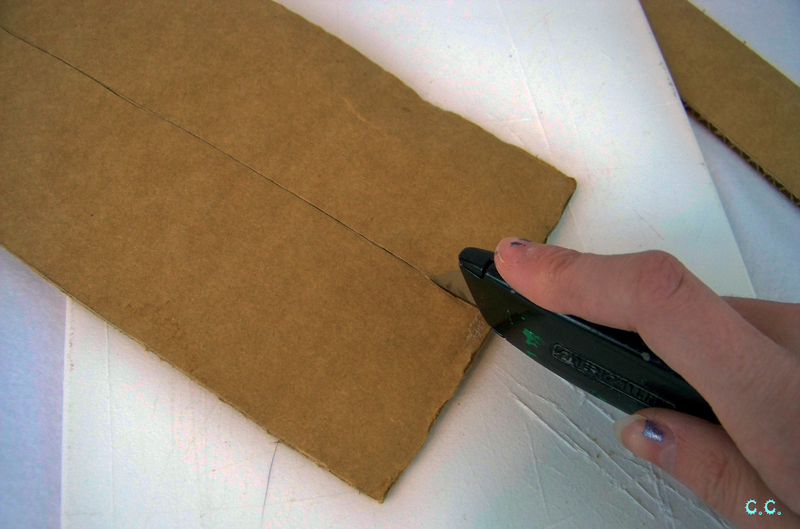 Step 8: Attach the taller cardboard rectangle at a right angle to the smaller rectangle using hot glue. 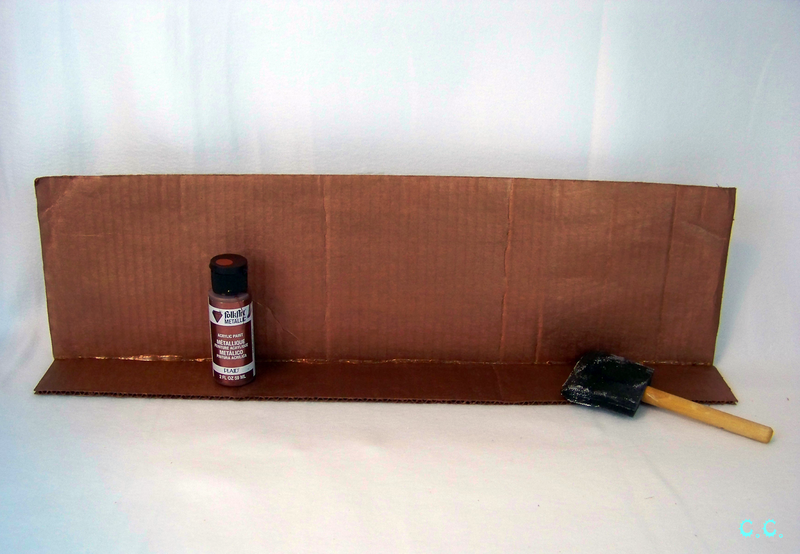 Step 9: Paint this "shelf section" the corresponding color of paint you picked out. Let it dry. 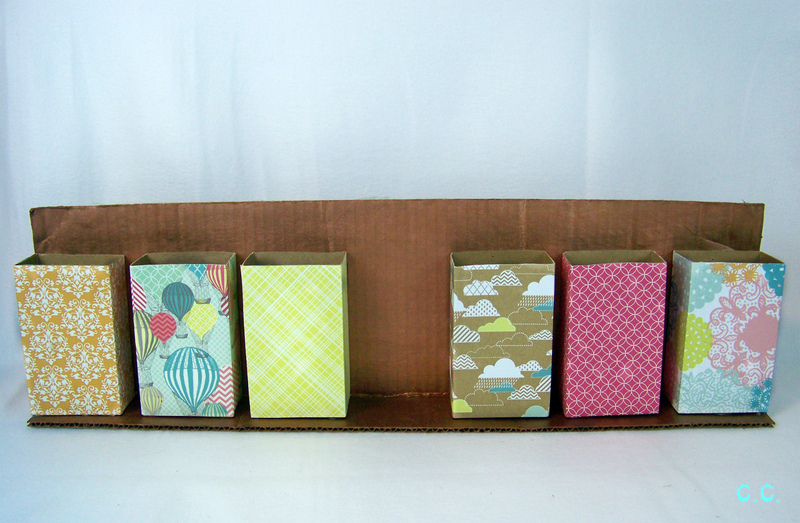 Step 10: Glue boxes onto shelf at regular intervals. Step 11: Attach shelf to cork board(I used a lot of hot glue) Fill with supplies. 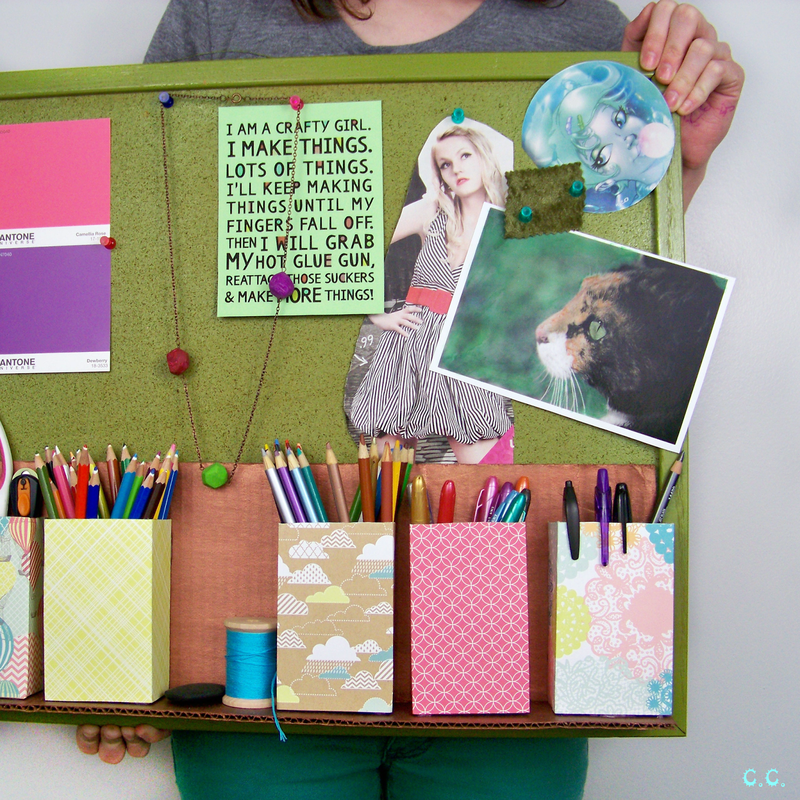 Fill the board with things you love that inspire you! Just couldn't stop reading till the last letter. That is just adorable. Thanks so much for sharing Debbie!!! You could also use cans for this too. 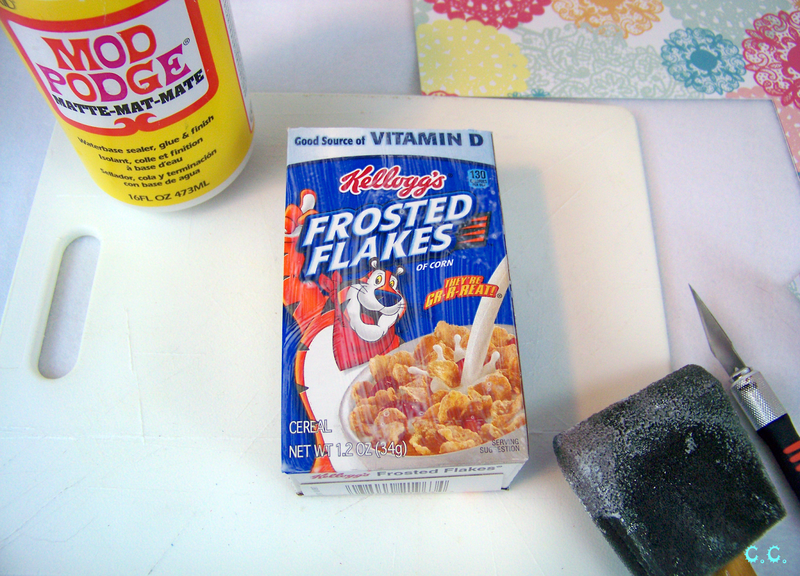 Just hot glue them to the board itself. It would be sturdier and hold up better also. I may just have to think on this. 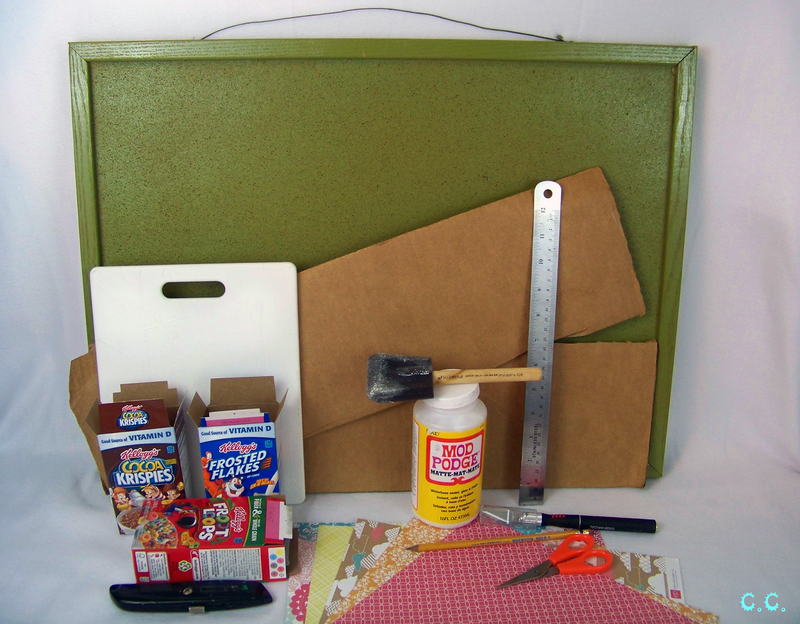 I am going to use an old cupboard door and use the top half as a chalk board. thanks for the inspiration. You said you don't want to buy any new supplies until you use up what you have, and I've got to say, I am SO doing the opposite! I don't have hardly any of the supplies you listed and buying the supplies has my purchase at nearly $50! (At DeSerres). 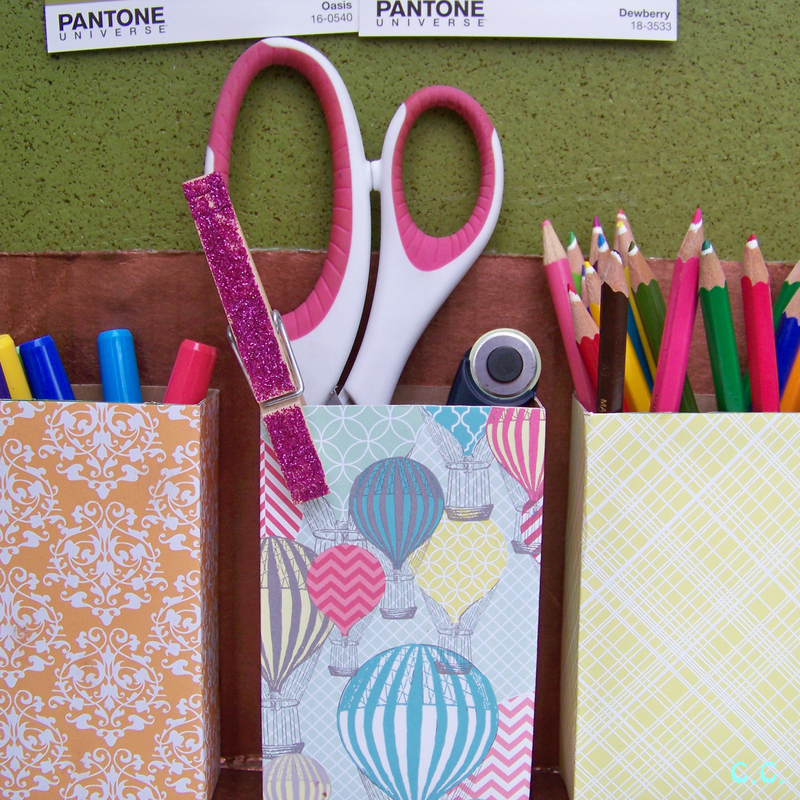 I stumbled on this craft because I was looking for frugal organization, but buying the materials I need is more expensive than I thought! 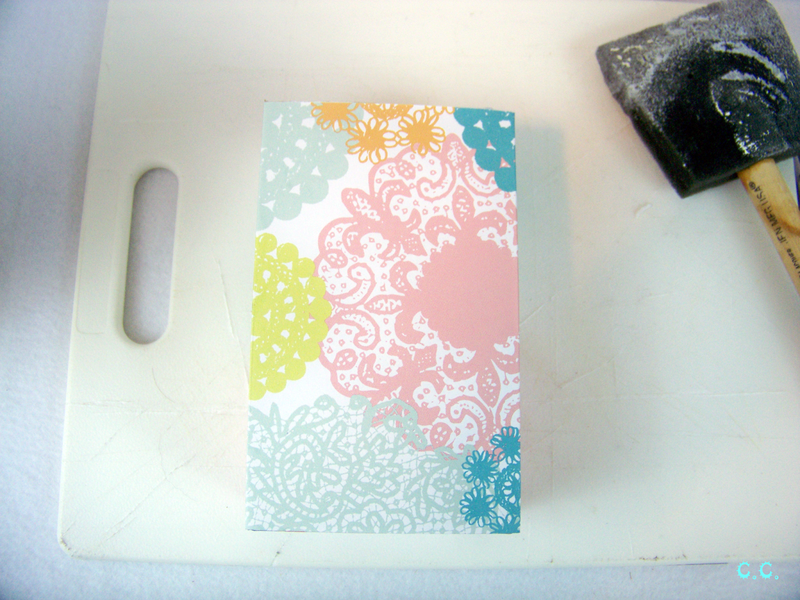 I'm just telling myself it's worth it because it's an investment: I'll use the things I buy for more frugal crafts! Thanks for posting this quick and clever idea! 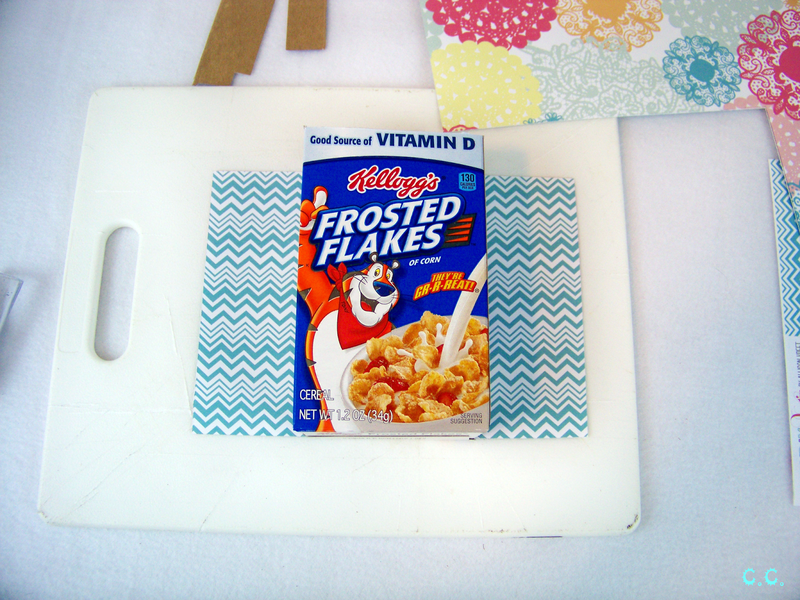 It'll be the first craft I'm doing for my home! OMG this idea is so cool! I'm so trying this out! Thankies!